Tis the season to be jolly..
fa la la la la, la la la la.. This page shows events and activities on in Melbourne over the festive season. What's open on Christmas Day - Wednesday 25th of December 2019. There are plenty of things to explore and keep you entertained on one of the quietest days of the year. Weather Forecast: 26°c Su .. Vision Australias Carols by Candlelight® Tuesday 24 December 2019 @ 8:00 pm Arts Centre Melbourne, Sidney Myer Music Bowl, Linlithgow Ave, Melbourne You are invited to celebrate the m ..
Canterbury Council of Churches invite you to come and enjoy the picnic atmosphere in the beautiful Canterbury Gardens. We enjoy this in carols, performances, and entertainment. This annual fre ..
Country Women's Association of Victoria Inc. CHRISTMAS COOKING FAIR 3 Lansell Road, Toorak Saturday 7th December, 2019 Celebrating home baking, using traditional recipes Christmas pudding ..
Geelong's Floating Christmas Tree: 8 November 2019 - 7 January 2020 (tbc) You are invited to enjoy the spectacular show as we kick off our Christmas celebrations and light Geelong's Floating Chr .. The Boulevard Lights run from the 14 - 24 December 2019* between 8.30 pm and 11.00 pm each night. The Boulevard in Ivanhoe East puts on one of Melbourne's biggest and brightest Christmas lights di .. Celebrate 32 years of giving with the Kmart Wishing Tree Appeal 32nd year of the Kmart Wishing Tree Appeal together with The Salvation Army to support members of the community in need With more t ..
Maling Road KRISTKINDL 2019 Friday December 6th from 4pm to 9pm SANTA - RIDES - LIVE ENTERTAINMENT - QUALITY FOOD Come to one of Melbourne's best street events! Tag your family and friend ..
December is that special time of the year when everyone wants to know where the best Christmas light displays are in Melbourne? The Melbourne Christmas Lights Guide will help you and your family p ..
No festive season is complete until we've sung Carols By Candelight. There is the original Carols By Candlelight at the Myer Music Bowl on Christmas Eve or many local carols at Melbourne parks and .. The annual Christmas festival transforms the city into a magical place and celebrates the spirit of Christmas in true Melbourne style. 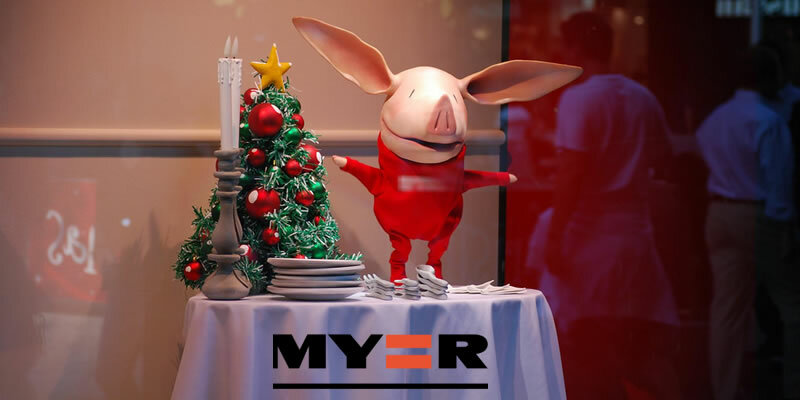 Stay tuned for details as they are announced ..
Myer's Christmas Windows celebrate a 64 year old tradition in 2019. Since 1956, Myer's gift to the City of Melbourne now attracts an estimated 1.4 million visitors each year. In previous years t .. Imagine the delight on a child's face when they receive a letter from Santa Claus! And not just any letter, but a letter that is personally addressed to each child and that includes information rel ..
Santa is coming and he is bringing the North Pole to Myer. Experience the joy of meeting him and Mrs Claus. JOIN THE FUN AT SANTALAND You don't need to journey to the North Pole to experienc ..
Santa's elves are busily getting a magical one-of-a-kind Magic Cave ready in-time for Christmas. Discover our new enchanted Magic Cave world and create memories you will cherish forever. Meet ..